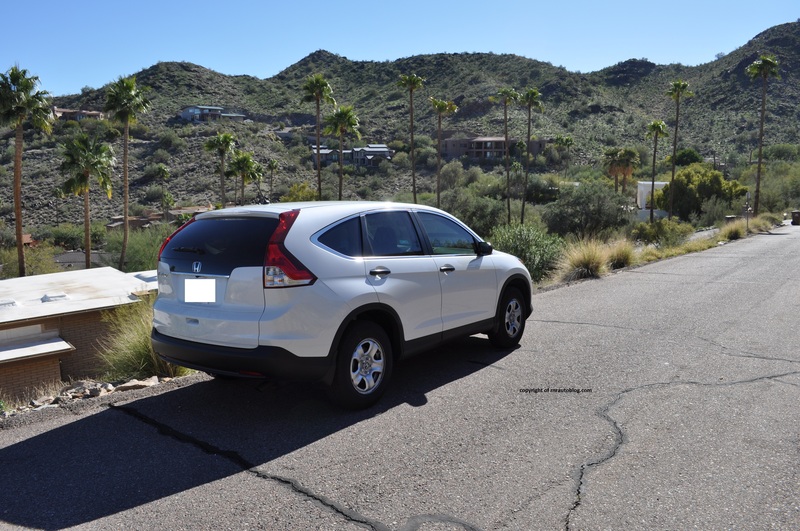 The CRV (Compact Recreational Vehicle) was introduced in the U.S in 1997 during the SUV boom. The SUV boom was when SUVs completely dominated the passenger car market, and replaced minivans and station wagons as the choice of transport for families. 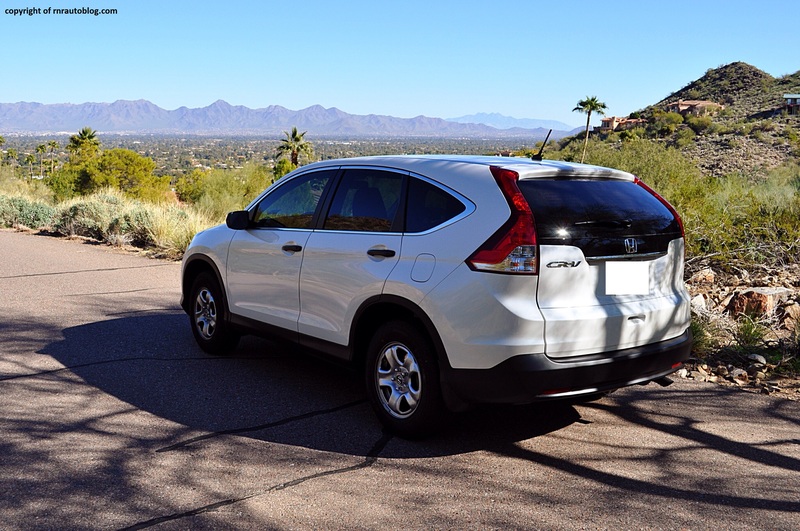 The Toyota Rav4 and the Honda CRV jumpstarted the compact SUV market. Based of the Civic, it combined carlike characteristics, frugality, and affordability that domestic truck based SUVs could not match. 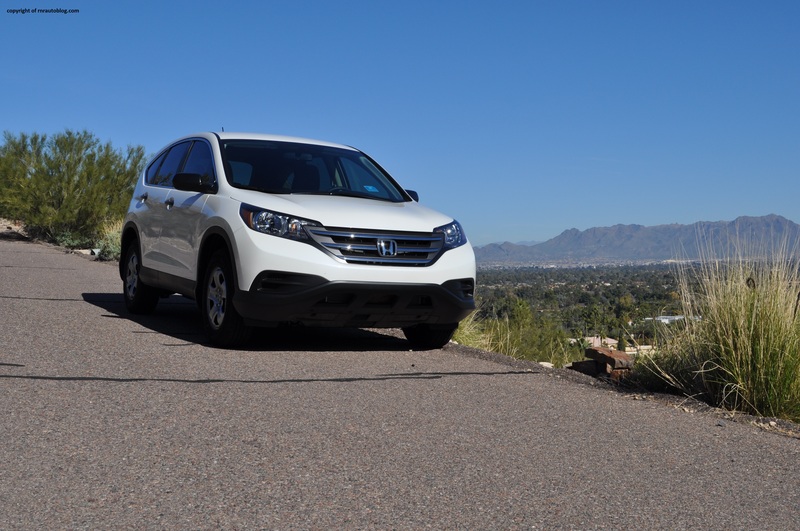 Now in its fourth generation, the CRV is America’s best selling SUV. 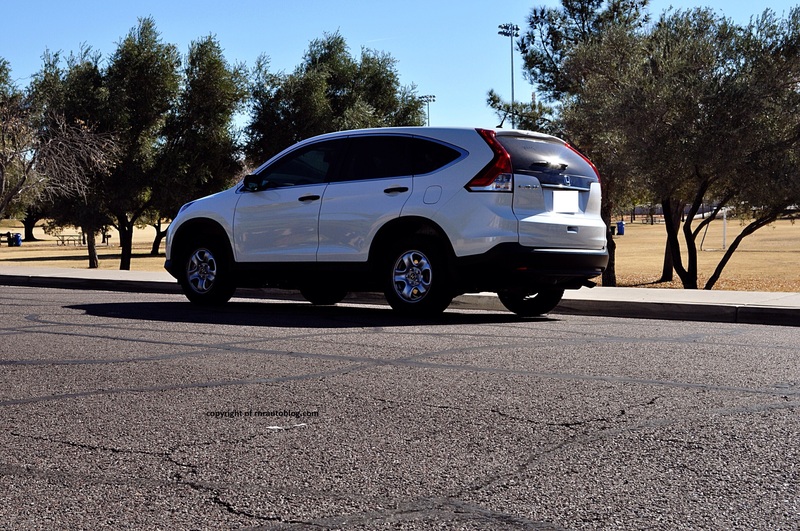 The third generation CRV was dramatically different in terms of aesthetics than the original, and this CRV is no exception. Whereas the first and second CRVs had a rugged look with the spare wheel on the lift gate, the third and current CRVs eschew the spare wheel and the ruggedness for a more conventional crossover look. The exterior design is a mismatched batch of design cues. The front tries too hard to be adventurous with an overwrought fascia while the rear is just ordinary. The side profile leaves nothing to be desired either. The interior is all function, with ease of use the main priority. 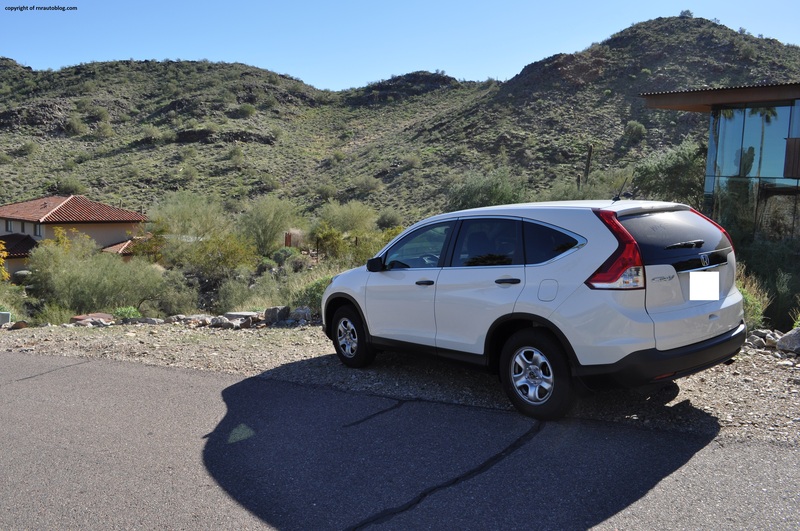 Once one of the best compact SUVs to drive, the latest CRV struggles to meet the driving dynamics of the older CRVs. It is competent, but there is no excitement anymore. While precise, the steering is devoid of feel. The handling is adequate in normal driving, but relentless tire squeal and its lack of stability in corners contribute to its unwilling behavior. When you turn the wheel, there is gradual body lean, and then the tires start to run out of grip, leading to understeer. Ride quality is comfortable enough, but could be better. It crashes over rough surfaces. The smoother the road is, the better the ride quality is. Power at low revs might be a bit lacking, but overall this engine is strong. It feels stronger than 185 horsepower suggests. Cruising through traffic is a breeze thanks to the flexibility of the four cylinder. The engine grumbles at low revs and sounds agricultural at high revs. The 5 speed transmission shifts smoothly. 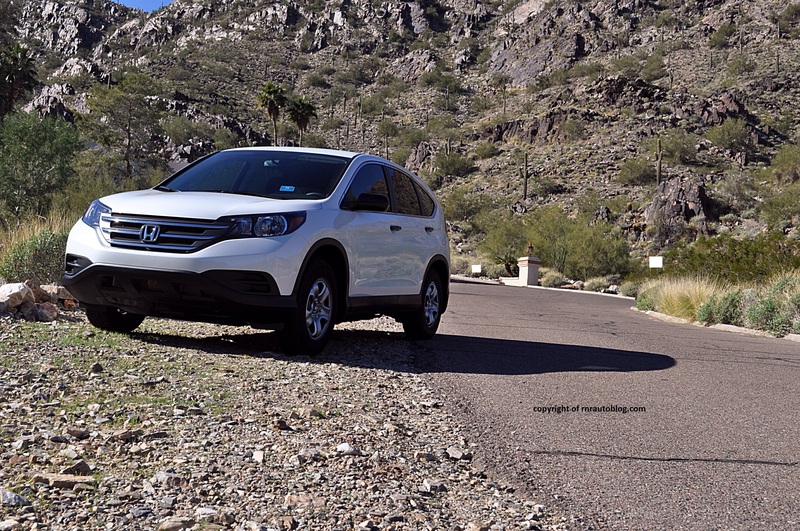 Fuel economy, a typical Honda attribute, is decent with 23-25 mpg overall possible. Road noise is present, although quieter than before. 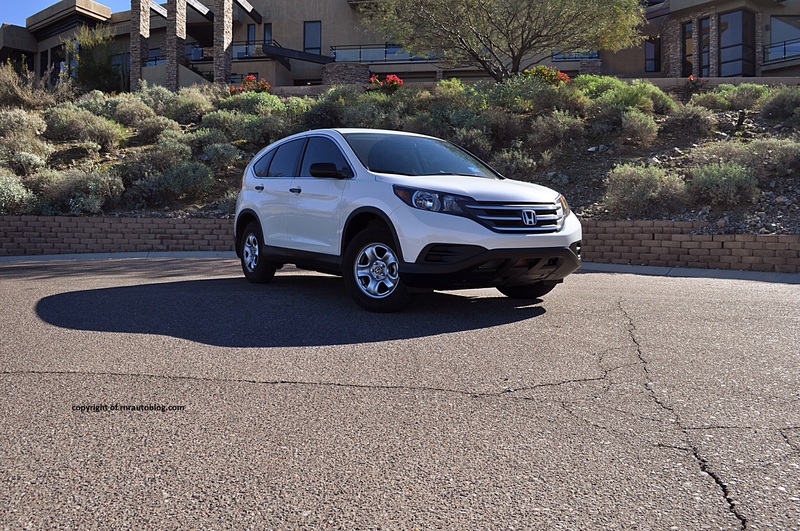 One area where this CRV excels is in its cabin. It is airy and roomy. Visibility in the front is excellent, aided by the large windows. Visibility in the rear is lacking due to the large rear pillars. Rear seat room is ample, with commendable head room. Cargo space is more than enough, and can carry a whole family’s luggage. Controls are intuitive and legible. The gauges are easy to read, and they light up green when you are driving economically (slow). Cabin fit and finish is good, if not as good as Hondas usually are. For most people, this car will suit their needs. 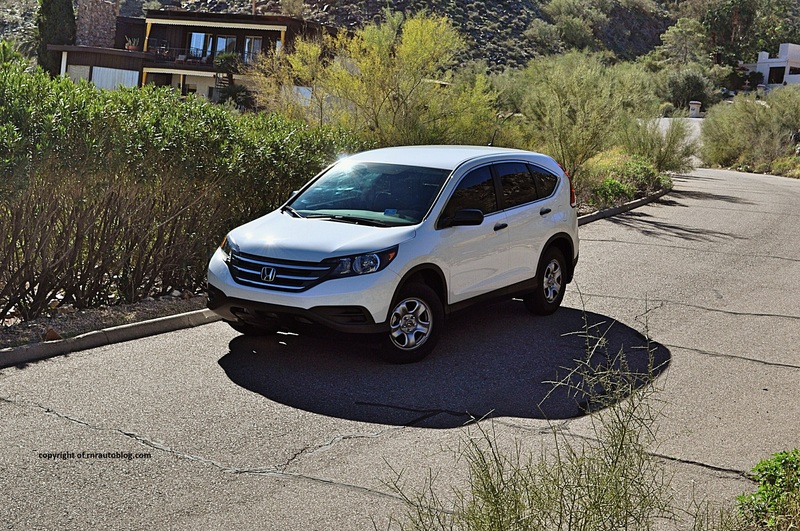 It provides a mix of comfort, practicality, and frugality that other compact SUVs can’t match. For the Honda purist, this car will not suit their needs. Even though this is a good car, it does not feel like a Honda. When you drive a Honda, no matter how ordinary styled they are, you could always tell just a little bit sportiness was injected into the car. Hondas usually have exemplary body control and communicative steering. While this CRV has decent body control, the steering feels like a Toyota. Not to insult Toyotas as they are good cars, but they are made for point A to point B transportation. 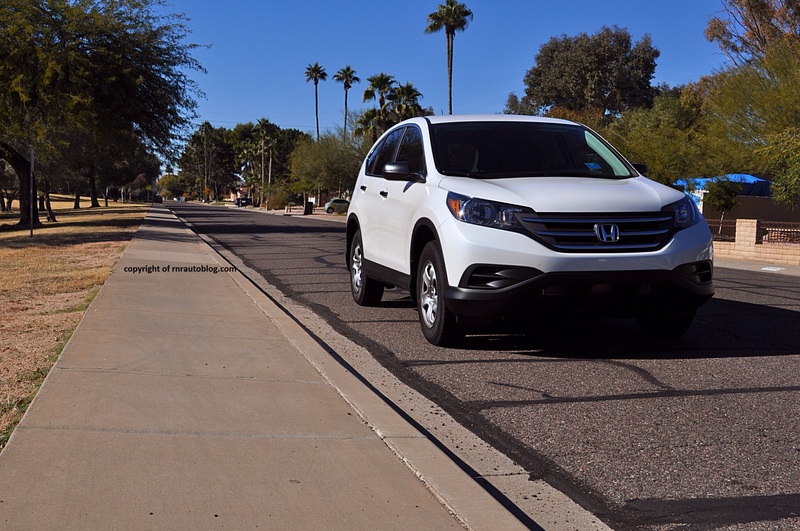 The CRV feels like it was designed to be a car purely for that task. Nothing else. Not a bad thing, but Hondas are usually better than this. You got a really useful blog I’ve been right here reading for about an hour. I am a newbie as well as your good results is very considerably an inspiration for me. Great stuff from youR rnrautoblog.com , man. Ive read your stuff before and youre just too awesome. I love what youve got here, love what youre saying and the way you say it. You make it entertaining and you still manage to keep it smart. I cant wait to read more from you. This is really a great blog. wish you all the best in 2014! 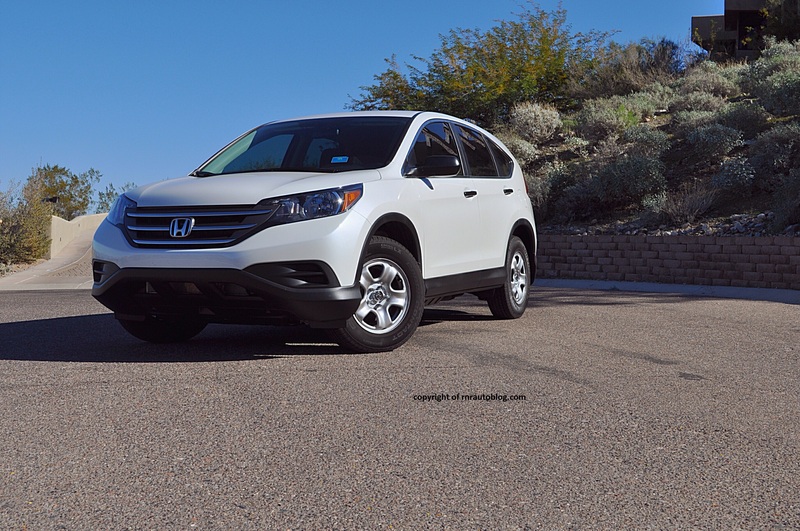 CRV LX Review | RNR Automotive Blog <Loved it!